English: (Bermuda) blackbird; French: Moqueur chat; German: Katzendrossel; Spanish: Sinsonte Maullador. 8.1-8.5 in (20.5-21.5 cm); 0.94-2.0 oz (26.6-56.5 g). Plumage generally dark leaden-gray, crown dull black, crissum deep chestnut-brown. Eye deep brown, bill and legs black. Breeds across eastern North America from Nova Scotia to east Texas, west to British Columbia, north New Mexico; Bermuda. Winters from southern New England through southeast states including Florida, coastal Texas, east Mexico through Central America to Panama, Bahamas, Cuba, Jamaica, rarely in Lesser Antilles. Vagrant Colombia, western Europe. Scrubland, forest edge, well-vegetated suburban areas, abandoned orchards. Usually in lower levels of vegetation. Rather retiring; frequently sings from dense cover. Song is a pleasant series of whistled and gurgled notes, interspersed with harsher notes. Female sometimes sings. Calls include a cat-like mewing and more grating notes. 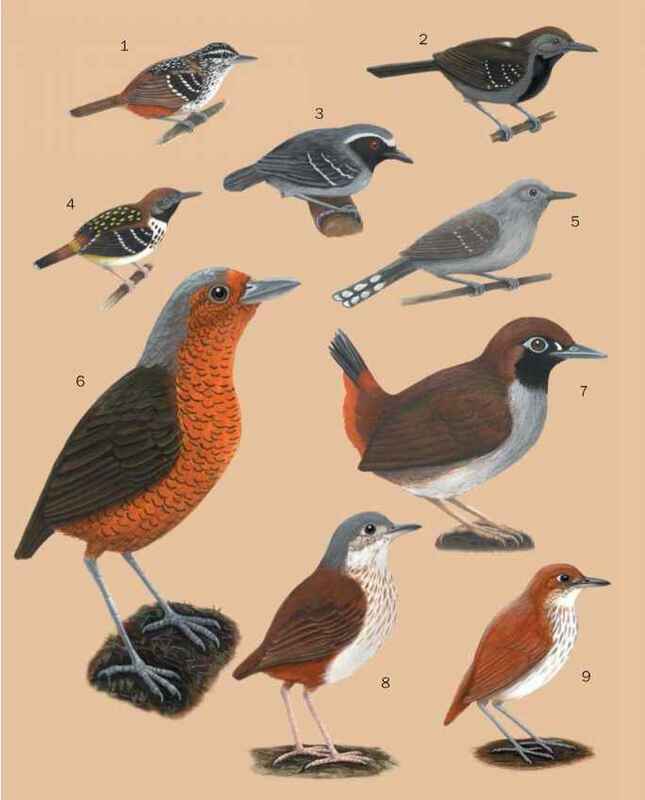 Food is varied, including many invertebrates (ants, caterpillars, spiders, grasshoppers) and some vegetable matter, including wild grapes, especially in fall; takes eggs of other small passerine species up to the size of American robin. Nest is a cup-shaped construction of fine grasses etc, lined with horsehair and fine materials, built mostly by female, from ground level to 48 ft (15 m), usually about 4-5 ft (1.5 m) up. Eggs three to four, sometimes one to six, bright blue-green. Incubation by female alone, 12-14 days. Young fed by both parents, fledging period 8-12 days. Double-brooded over most of range, triple-brooded in southern areas. Not threatened. Common over much of its range; has probably benefited from clearance of forest and subsequent abandonment of marginal farmland.